Todd Simpson of IONaer, the leader in duct air purification systems that uses Natures powerful energy rich Ions to clean the air and remove 99% of all airborne particulates from the air you breathe joins eHealth Radio and the Allergy, Health News & Respiratory Channels. What are some indications that a home or business has indoor air quality problems? What can IONaer do for these homes and businesses? How are these Super-Oxide ions created and are they good for us? Does IONaer's super oxide ions do anything for viruses or bacteria found on a surface like a school desk or countertop, or in heavy traffic areas? I know that Allergies along with Asthma are a big problem to kids and to grown-ups. What can IONaer do to help reduce these symptoms? Why are you passionate about air quality? The IONaer 7000 system is an air purification unit that utilizes ionization to clean the air you breathe. The process of Ionization has been used for more than 40 years, and there are numerous clinical and University studies that show ionization is an excellent method to remove particulates and pathogens from your air. The IONaer 7000 is a natural and effective way to remove more than 98% of all airborne particulates out of the air you breathe. In addition, it has the ability to sanitize the air of pathogens, making your whole home and family safer. IONaer is different than any other system on the market. IONaer technology generates the same ions as Mother Nature creates with lightning, waterfalls, mountain air and the like. It’s Nature’s way of cleaning the air naturally and creating a healthy environment. The IONaer engineering team worked on a method to remove Ozone from the ionization process. This patented Ozone filter captures one Oxygen (O) molecule from the O3 molecule to eliminate Ozone as a byproduct leaving your air healthy and clean. IONaer patent pending Ozone Suppression Mode can reduce Ozone from electronics and other outside sources leaving the air you breathe clean, fresh, and Ozone free. IONaer uses the highest amount of energy to create strong ion-clusters to remove contaminants and pathogens from every corner of your home, yet only consumes less electricity than a 20w light bulb. Ion-clusters will attach to airborne particulates and remove more than 98% of all airborne particles including, pollen, smoke, dander, dust, mold spores, odors and even VOCs. The IONaer patented system creates a 3:1 Negative Ion (Anion) to Positive Ion ratio. Negative ions have been proven to enhance your mood, increase energy, help you concentrate, enhance memory, and even can help you sleep better. 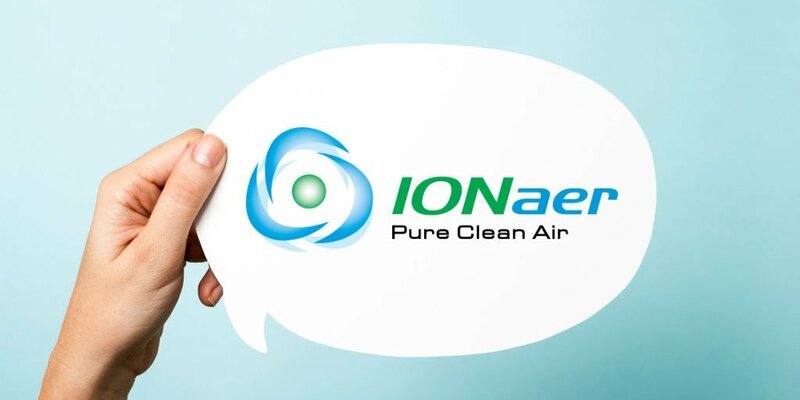 The IONaer Air Quality Management System is a fully connected indoor air monitoring and air quality control system that puts consumers in control of the air they breathe 24/7. The system monitors, detects and reacts to changes in air quality to give you the best air you can breathe. IOnaer installs in your ductwork and turns every register and vent in your home or office into an effective air purification unit. This allows you to control air quality issues at the source, room by room. Air quality will vary greatly. Weather, seasons, humidity, activity, cooking, occupancy and building materials all contribute to your indoor air quality. The IONaer system utilizes state of the art sensors, and an air purification system to monitor, control, and clean the air you breathe 24/7. 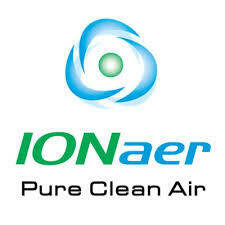 You set the air quality standard, let IONaer do the rest by removing upwards of 98% of all airborne particulates. Asthma, allergies, headaches, migraines, problems sleeping, lack of concentration, mood swings, heart issues, and even cancer have all been linked to the air you breathe. According to the EPA, your indoor air can be upwards of 10x dirtier than the air just outside your front door. In addition, the EPA estimates that the average American spends more than 90% of each day indoors. This tell us that “The amount of time you spend indoors breathing dirty air will affect your health and your overall well-being”. Ions do not want to remain ions; they want to be uncharged atoms or molecules. Charged IONaer atoms will react with other atoms to gain electrons or give up electrons and thereby reach a stable un-ionized state. If an electron deficient IONaer ion like an oxygen or nitrogen ion is in close proximity to a virus, bacteria, or mold spore, it will bond with and remove the hydrogen molecule from that organism and render it incapable of replicating. In effect, neutering it and neutralizing its ability to replicate. In addition, the corona energy created by IONaer will break down VOC’s, odors, smoke, or other airborne contaminants rendering your air Pure, Clean, Sanitized Air. Clean-air is important to a healthy life. We hope you see the benefits of breathing clean air and the benefit of the IONaer system to remove pathogens that have a direct link to the quality of your life, your resident’s life, you’re your valuable employees. Clean Air = Healthy Air = Healthy Body = Healthy Living. ‘Tis The Season To Be Sneezing: Are you Allergic To Your Christmas Tree? Dr. Robert Weiss, Board-certified ENT and Founder of CT ENT Sinus and Allergy, which utilizes leading-­‐edge technologies to diagnose and treat conditions affecting the ears, nose, and throat joins eHealth Radio and the Allergy Information & Health News Channels. How many people in the U.S. are diagnosed with allergies each year? How can you tell the difference between allergies, the common cold and a sinus infection? What are some of the triggers that can cause allergies during the holiday time? Are there treatments that can help or even cure holiday allergies as well as everyday symptoms? The holidays can be a stressful time. Is there a link between stress and asthma? 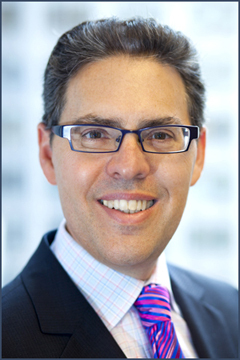 Board-certified Otolaryngologist-Head and Neck Surgeon, Dr. Robert Weiss established CT ENT Sinus and Allergy in 2000. He is an active staff member of Norwalk Hospital and Fellow of American Academy of Otolaryngic Allergy (AAOA) and the American Academy of Pediatrics. Dr. Weiss graduated from Penn State College of Medicine and finished residency training at Long Island Jewish Medical Center and the prestigious Schneider Children's Hospital in New Hyde Park, NY. Dr. Weiss treats all aspects of Ear Nose and Throat problems and has distinguished his practice utilizing the latest technology for better outcomes and safety. He was one of the first surgeons in the region to adopt Coblation tonsillectomy which reduces pain after surgery. His practice incorporates a testing lab to evaluate chronic dizziness in both adults and children. For treatment of chronic sinusitis in children, Dr. Weiss utilizes a balloon sinuplasty technique that can achieve success rates up to 87% versus about 50% for traditional methods. A recognized leader in his field, he has been named to Connecticut magazine's "Top Docs" for the past five years. He is a frequent guest speaker and has made numerous television appearances on News 12 CT and Cablevision's "Health Talk." Dr. Weiss is active in humanitarian medical mission work and has made numerous trips to Ethiopia to help remote, under-served inhabitants. Subcribe to our programming on iTunes and or give us a review by clicking here. Thanks for listening to eHealth Radio. 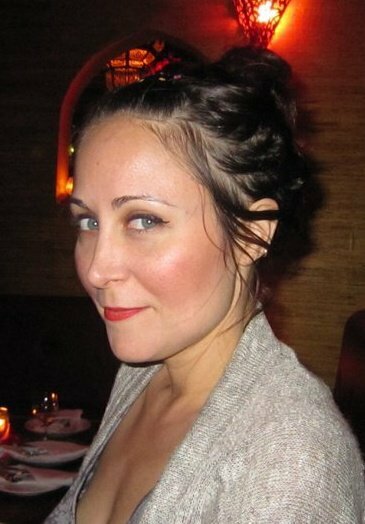 Camila Santos the International Business Manager at Airfree Air Purifiers, the natural solution for asthma, allergies, mold and contaminated air joins eHealth Radio and the Allergy, Asthma, and Health News Channels. What is an Airfree Air Purifier and how does it set you aside from the rest? What inspired the inventor to create the Airfree Purifier and how many varieties do you currently offer in the United States? Who would benefit most by using an Airfree Purifier? How exactly does an Airfree Purifier work? How big of a room does a unit cover? Where can you buy an Airfree Purifier? What is the range in prices? Airfree - The natural solution for asthma, allergies, mold and contaminated air. Airfree products reduce microbiological contamination in the air naturally, without using chemicals or filters. Recommended by doctors and with no contraindications, they can be used anywhere. Airfree’s exclusive technology works by eliminating microorganisms and allergens, destroying them in a fraction of a second. Depending on the model, between 14,000 and 20,000 liters of air pass through the Airfree device every hour, treating all the air in the room in a very short space of time. The process works in much the same way as sterilizing water by boiling it; when water is boiled, the microorganisms it contains are eliminated. In similar fashion, Airfree continually draws in air from the room, heating it to over 400°F and instantly sterilizing it. The purified air is then cooled inside the device before being returned to the room. The entire process is completely silent and requires no maintenance, not even the occasional replacement of parts. All you have to do is switch the device on and leave it to get on with the job. AirFree purifiers are the most tested air purifier in the world. 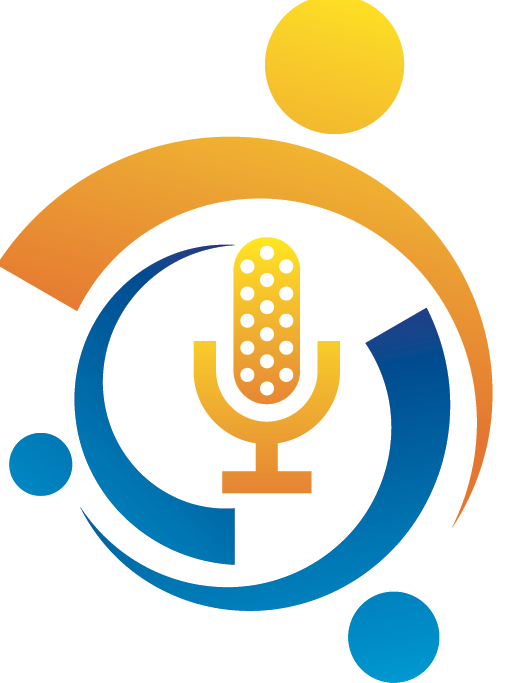 Dr. Clifford Bassett, Director of Allergy & Asthma Care of New York joins eHealth Radio and the Allergy & Asthma Channels. What type of food is responsible for the most food allergies, especially in women? What are some of the most common skin allergies? What are other products that may used on Valentine's day that can create havoc if you have skin allergies? How about those ladies that want to look their best on Valentines Day is there anything they should be aware of? Is there any allergic reactions to flowers which is a popular gift on VDay? 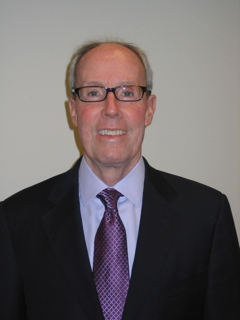 Clifford W. Bassett, M.D., is the Medical Director of Allergy and Asthma Care of New York and is on the faculty of the New York University School of Medicine, and is a Clinical Assistant Professor of Medicine and Otolaryngology at the Long Island College Hospital and SUNY in Brooklyn. Dr. Bassett is a Diplomate of the American Board of Allergy and Immunology; a Fellow of the American College of Allergy, Asthma & Immunology (ACAAI); and a Fellow of the American Academy of Allergy, Asthma & Immunology (AAAAI), and is a member of the executive committee of the New York Allergy & Asthma Society. He has contributed to articles in Time, The New York Times, Business Week, Forbes, Cosmopolitan, Newsweek, Reader’s Digest, New York Daily News, New York Newsday, New York Post, Baby Talk, Prevention, The Journal of the American Medical Association, Health, Parents, Ladies’ Home Journal, National Geographic, Woman’s World, Self,Men’s Fitness, Men’s Health, Women’s Health, Family Circle,Time Out NY, Redbook, Good Housekeeping, Shape, Cat and Dog magazine and USA Today. An article authored by Dr. Bassett regarding “allergic reactions to alcohol” was referenced by Jay Leno during his monologue in January 2010. Dr. Bassett has frequently contributed to various Internet-based medical information Web sites (weekly allergy blog on foxnews.com) and has been interviewed on local and national radio and television programs as an allergy expert. These include CNN, MSNBC, CBS’s “The Early Show,” NBC’s “The Today Show,” ABC’s “Good Morning America,” “NBC Nightly News,” FOX News Network, Telemundo and NPR. Is it true that older adults can suffer from seasonal and indoor allergies and if so, why? What are the best choices in flowers, plants, shrubs for those with allergies? Can an individual really be allergic to their cosmetics and/or skin care products? Do allergy injections (shots) really work, and how? What foods may aggravate my seasonal allergies? Michael Coffee is Chief Business Officer at MediciNova Inc., a publicly traded biopharmaceutical company focused on acquiring and developing treatments for conditions with unmet needs, ranging from asthma to drug addiction joins eHealth Radio and the Asthma Information Channel. Your company is working on a treatment called MN-221 for severe, or advanced exacerbations of asthma. Why is severe asthma still an unmet need? How much money does an average asthma-related hospital stay cost? When is an advanced ex-acerbation of asthma most likely to occur, and who is most likely to suffer from this? Can MN-221 work in patients with advanced COPD? Meth addiction is a very serious public health problem. Can you explain how the other compound you are working on, ibudilast, might help prevent relapses in meth users? 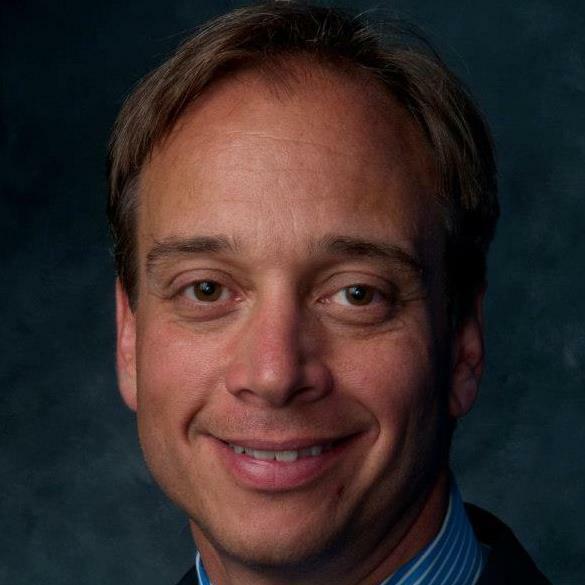 Michael Coffee is Chief Business Officer of MediciNova. He previously was Senior Vice President, Sales and Marketing for Adamas Pharmaceuticals, Inc. from May 2009 to February 2010. From February 2005 to May 2009, Mr. Coffee was Chief Business Officer of Avigen, Inc., which was acquired by MediciNova in December 2009. Prior to joining Avigen, Mr. Coffee co-founded the Alekta Group, LLC, a consulting firm, in 2004 to provide a comprehensive range of pharmaceutical development consulting services to emerging pharmaceutical companies. From 2001 to 2004 Mr. Coffee served as President and Chief Operating Officer of Amarin Pharmaceuticals, Inc., the U.S. drug development and marketing subsidiary of Amarin Corporation PLC. Mr. Coffee also served as President and Chief Operating Officer of Elan Pharmaceuticals, North America from 1998 to 2001 and held marketing and executive management positions, including President and Chief Operating Officer, of Athena Neurosciences, Inc. between 1991 and 1998. Mr. Coffee received a B.S. in biology from Siena College and an Advanced Management degree from Amos Tuck School of Business.